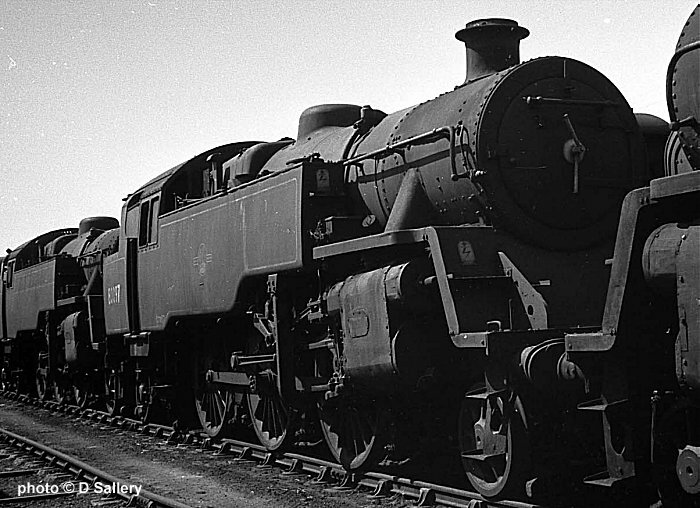 The BR class 9F freight locos were arguably one of the finest steam designs ever produced. 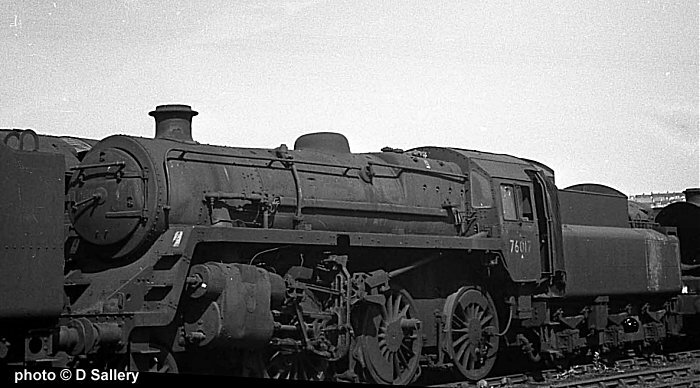 The final steam locomotive built for BR was No. 92220 Evening Star, last of a class of 251. This is No. 92240, withdrawn from traffic after only 8 years service. 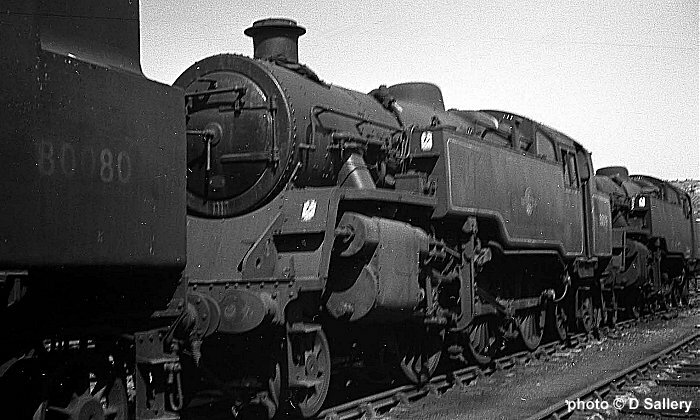 There was a need for BR to build a modern tank locomotive to replace some of the ancient designs still in traffic in the early 50's. 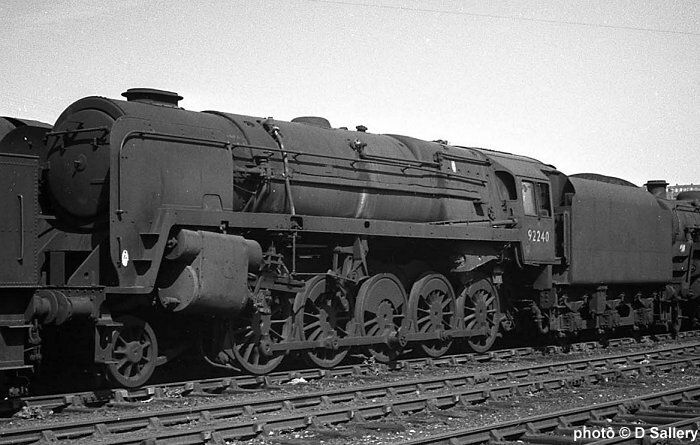 The result was the introduction of these capable 2-6-4 tank locomotives numbered in the 80000 series. 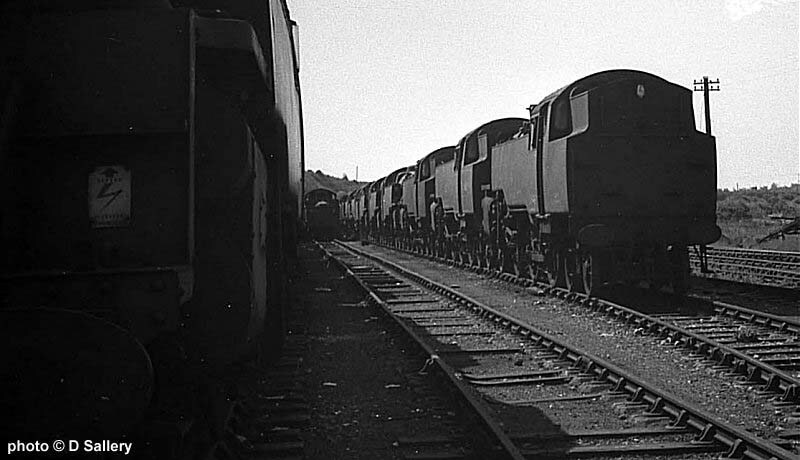 A total of 155 were built and large numbers of them were scrapped at Barry - a consequence of the spread of suburban electrification. 80097 is flanked by 80098 and 80080. Seen above are 80080, 80079 and 80135.